From the ledge with mural #18, jump to the horizontal bar off to the right, swing and jump to grab the narrow handhold running around the broad stone column. 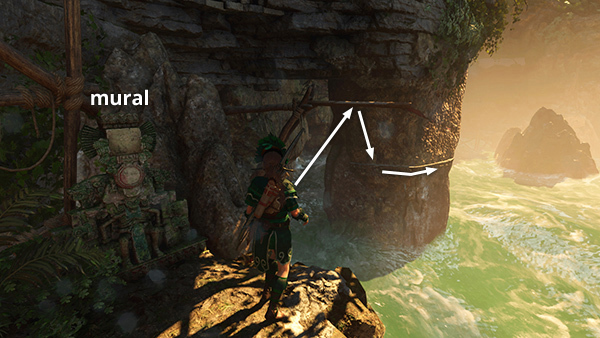 Climb around to the right. 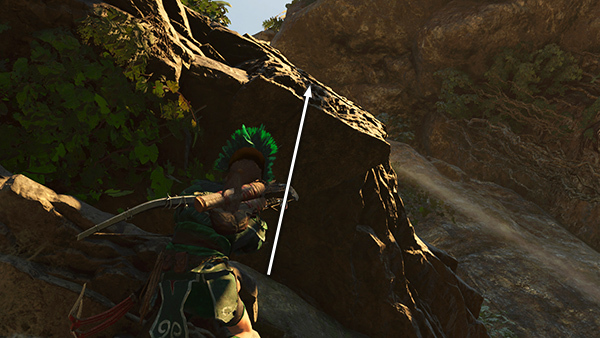 Jump up and latch onto the craggy wall. 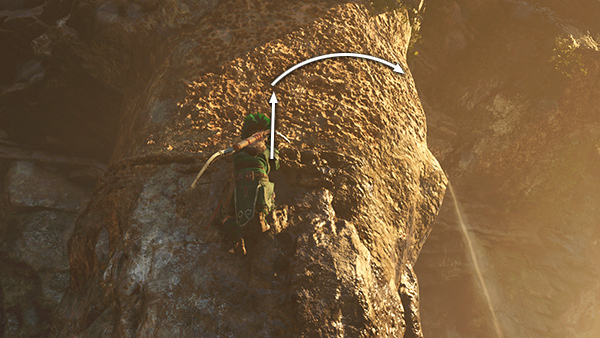 Then continue climbing upward and around to the right. 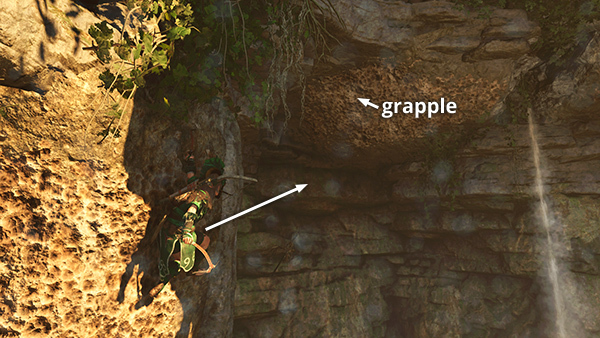 When you run out of climbable wall, jump forward/right and grapple the rough stone overhang. 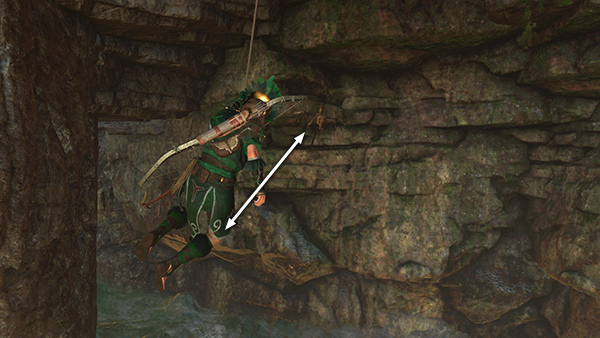 Rappel down a bit and look to the left to spot another skeleton (3/3). If you've unlocked the Seeker skill Owl's Wisdom, challenge items like this one will glow when you activate Survival Instinct. Point the camera toward the skeleton. Then swing back and forth to knock it off the wall. This one is a little tricky. 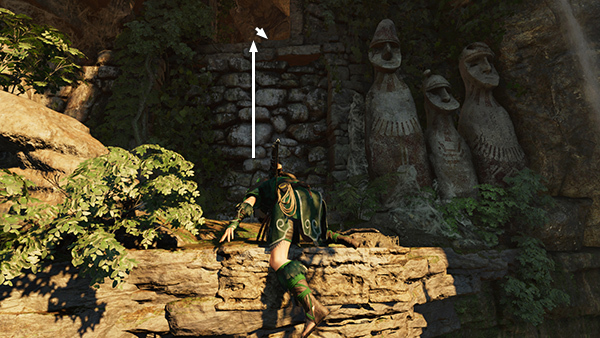 You may need to adjust Lara's height and angle slightly in order to hit the skeleton. If you've already knocked down the other two, this will complete the Dunkin' Bones Challenge. Now climb all the way up the cable and latch onto the ceiling. 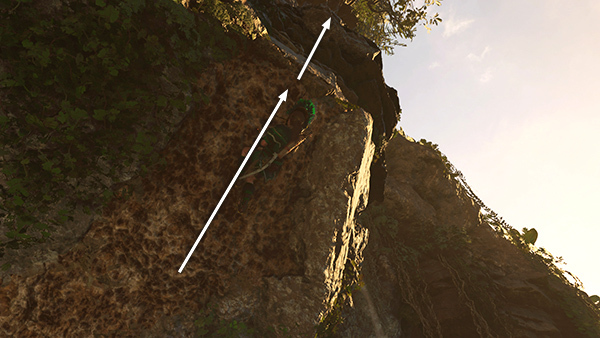 Climb to the right as far as you can, then jump past the gap in the rocks and latch onto the next section of climbable ceiling. 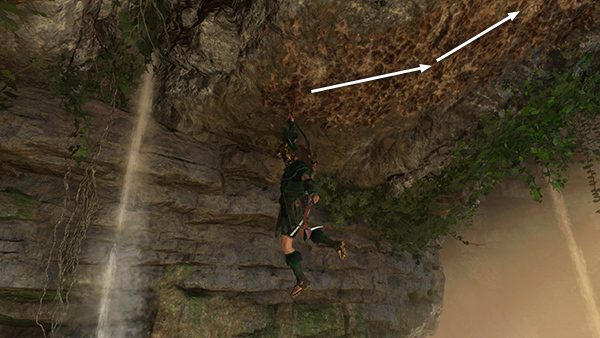 When Lara regains her foothold, continue climbing to the right and upward. Naturally, Jonah picks this moment to hail Lara on the radio for a status report. Keep climbing as you talk. 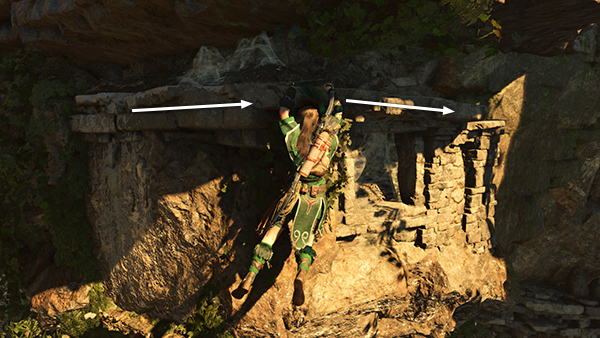 When you reach the top of the climbable wall, jump straight up to grab the ledge above. Traverse around the corner to the right. 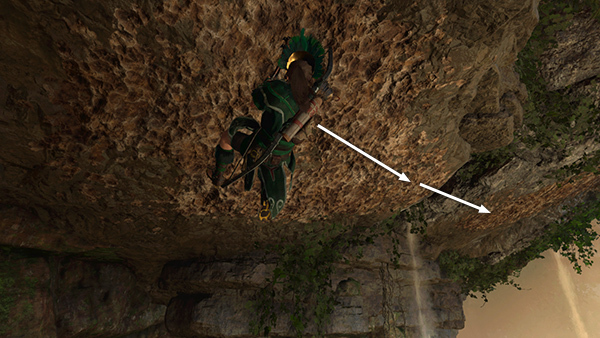 Then jump straight up again to grab the overhanging ledge. Scramble up onto the ledge. 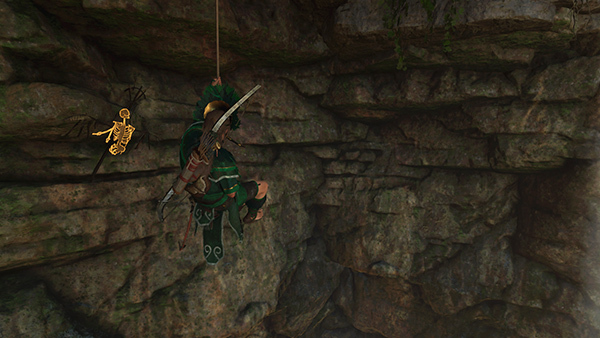 Then, finally, climb into the high window of Unuratu's prison cell.